Samuel Adjei Ntow is a final year Business Administration (Marketing option) student of Valley View University. He had his secondary school education at Sekondi College in the Western Region of Ghana, where he grew up. He loves to read and write poetry. I have been writing poetry ever since I got introduced to this art in senior secondary school. This happened after the business students, of which I was one, were introduced to literature. My favorite poets include Prof. Atukwei Okai, Kwesi Brew, Sylvia Plath, Leopold Senghor and Kofi Anyidoho. Senghor's "Songs for Naett" inspired me to start writing. The imagery in the poem got me hooked even though I had not been in contact with what he was talking about. Kwesi Brew's "The Mesh" also did inspired me to start writing poetry. I hope to influence people with the beauty of words and for them to understand and appreciate the power of our thoughts. 4. Is there any poetry-related activity at Valley View these days? If so, what? There are no poetry related activities here at Valley View University but I have a couple of friends here who love and appreciate poetry, so we meet (not officially) to talk about poetry and what new thing we are writing. 5. When you write, what is the primary audience you have in mind as readers of your poems (yourself, other poets, your friends, Ghanaians, a global audience, etc.)? Whenever I do write I write with myself as the primary audience. This is because I usually write about what I'm feeling or an experience I am going through. I also believe, though, that there are people out there who somehow identify with my works and these people, be they friends or a global audience, are also a target of mine. Another good one. This is a perfect example of dramatic monologue. I enjoyed reading this poem. Its strength and beauty lie in the way Samuel Adjei Ntow cleverly tinged it with a flavour of the technique of stream of consciousness. The poem is depicted as overheard in the mind (or addressed to oneself); it is primarily a fictional device that was subtly applied by this poet. This poem reminds me of "My Last Duchess” by Robert Browning, when a duke speaks to an emissary on his way, "Porphyria's Lover" also by Robert Browning, "The Captain of the 1964 Top of the Form Team" by Carol Ann Duffy, "Lady Lazarus" by Sylvia Plath, and "Mother to Son" by Langston Hughes. But the difference lies in the humorous contemporary native Ghanaian flavour of characterization, and the setting. This is a well done job. 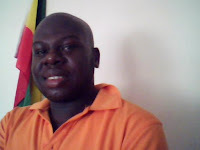 My thumbs up for you, Samuel Adjei Ntow . This is creativity taken to another altitude; your composition tackles mundane issues which many would have considered not worth writing about. The way you went about your narration is quite superb touching on almost every day issues which affects our lives but always given a minuscule of attention. which resonate stanza after stanza. Silence is a great poem. I like amusing nature of the poem. The structure of the poem is captivating and very phenomenal. Its simplicity is a factor to be commended. Though it does not gnaw at slavery, apathy or any harsh subject where “Dying arguments fade to graves” rather it explores the everyday situation of a typical Ghanaian society. This piece captures a mood so real that any Ghanaian who reads it will confess he has ever been in such a situation. I gave applauses when I first read this piece and its resounding notes keep the spirit of poetry alive. Thumps up. Good Job Done. In a net shell and in a wider concentration, “Silence”, shares some elements with Nana Agyemang Ofosu's Wofa Adwo, The Man of the House. Both poets seem to draw inspiration from a common source. This is evident in the atmosphere “spicing up the melody” in the flow of the poems. The repetitions magnifies the message conveyed by Samuel Adjei Ntow in his poem. Hi poets and poets alike, I would like to thank each and everyone of you so very much for your nice and very encouraging comments. Thanks to Dela, Agyei-Baah and Forster for your commentary on my poem, I am most humbled especially coming from established poets like you, not forgeting One Ghana, One Voice for giving an avenue for young poets like myself to publish our work. Like Agyei-Baah rightly puts it "You simply make me hunger to take a literary course with Writers Bureau so that I can flow along with doyens like you."" Thanks a lot once again, your comments have given me a new perspective about myself and poetry.